Fevers are the body’s response to fighting infection. Many parents feel that they need to give a fever reducing medication as soon as a fever presents itself. By doing this, they are interrupting the body’s natural flow in healing itself. 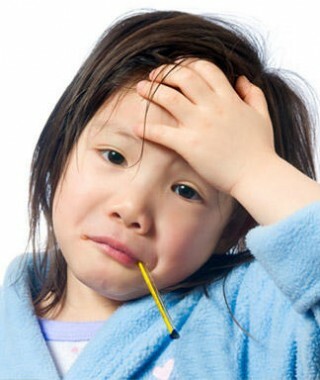 By giving fever reducing medication the infection will have potential to last longer and become more complic ated. When should we worry about a fever? In a child 3 months old or younger, a fever over 100.4F needs to be treated. In a 3 month old to 3 year old, a fever higher than 102.2F needs to be treated. Anyone else with a typical healthy body should treat a fever that goes above 104.5F. If you have a fever over 105F, you should see a medical provider. There is potential for brain damage if body temperatures reach 106-108F. What are some ways to reduce a fever naturally? Lavender essential oil can be used as a fever reducer. Using 1 drop on the forehead and gently rubbing it into the skin has shown to reduce fever. Washing the face and or entire body with a cool washcloth can help manage a fever. Taking a cool shower or bath has also been proven to reduce fevers. Getting a chiropractic adjustment relieves the nervous system and helps the body to heal itself. There are many other natural ways to treat fever that could be found through reliable websites. I personally have found the lavender oil and chiropractic treatments to work very well with my own children. The bottom line is to monitor a fever. Treat it as naturally as you can and keep your child comfortable.